The driving force behind the need for token coinage was the shortage of small denomination coins for everyday transactions. However, the demand was fueled by other factors such as the Industrial Revolution, population growth, and the preponderance of counterfeit circulating coins. Because the government made little effort to ameliorate this shortage, private business owners and merchants took matters into their own hands, and the first tokens of this type were issued in 1787 to pay workers at the Parys Mine Company. By 1795, millions of tokens of a few thousand varying designs had been struck and were in common use throughout Great Britain. Collecting Conder tokens has been popular since shortly after they were first manufactured, resulting in the availability today of many highly preserved examples for collectors. The demarcation of what is or is not considered a Conder token is somewhat unclear; however, most collectors consider Conder tokens to include those indexed originally by James Conder or later by Dalton & Hamer. In Great Britain, a shortage of small denomination coinage had been reported as early as the late 14th century. Such a shortage made it difficult for workers to be paid, and for transactions of daily life to be carried out. The shortages persisted and worsened through the late 17th century and became particularly problematic by the middle of the 18th century. The shortage of small denomination coinage reached a critical mass with the move of many workers away from agricultural jobs and into the work force in factories during the Industrial Revolution. The growing payrolls of factories were nearly impossible to meet for employers with no supply of coins. At the same time, the population growth rate of Great Britain between 1750 and 1800 nearly quadrupled. The situation was only made worse by the outflow of British silver coins via Gresham's law, the preponderance of counterfeit copper coins in circulation, and the Royal Mint's sporadic production of non-gold coins from the late 17th century to the late 18th century. For many years, no copper or silver coins were minted at all, and in 1775 King George III had halted the production of copper coinage at the Royal Mint. A halfpenny token issued by the Parys Mine Company of Anglesey in 1788. The hooded druid design was used for many years, and was the first of hundreds of token designs. In 1768, one of the largest veins of copper in the world was found at Parys Mountain on the island of Anglesey in the northwest of Wales. In 1785, Thomas Williams (the "Copper King"), acting as a representative of the Parys Mine Company, met with the master of the British mint to propose that regal copper coins be struck using a counterfeit-deterrent method of edge lettering, and offering this technology to the mint free of charge. The stipulation was that the supply of the copper for these new coins would come from the Parys Mine Company. The British mint master did not entertain the offer. By 1786, two-thirds of the coins in circulation in Britain were counterfeit, and the Royal Mint responded by shutting itself down, worsening the situation. Few of the silver coins being passed were genuine. Even the copper coins were melted down and replaced with lightweight fakes. The Royal Mint struck no copper coins for 48 years, from 1773 until 1821. On the rare occasions when the Royal Mint did strike coins, they were relatively crude, with quality control nonexistent. In February 1787 Williams oversaw the minting of the first of many privately issued copper tokens, some being used to pay workers at the Parys Mine Company. These first tokens bore the image of a hooded Druid, and within two months time were receiving attention in London as a possible solution to the shortage of small denomination coin. Not long after the appearance of the Druid tokens, other cities, businesses, and proprietors would follow suit and begin designing and minting their own small denomination coinage. A token minted by Boulton in late 1794 for the proprietor Christopher Ibberson. Note the edge lettering stating "PAYABLE AT THE GEORGE & BLUEBOAR LONDON". The demand for small denomination coin flourished, and with it the popularity of copper tokens that approximated the size of the halfpenny grew rapidly. One of the most prolific producers of these private tokens (struck on behalf of merchants) was Matthew Boulton. In fact, during his lifetime Boulton would strike millions of these merchant pieces. Boulton was no stranger to the manufacture of small metal items, having grown up with and managed his family business for many years, which specialized in buckles. In the mid-1780s Boulton had turned his attention to coinage; in his eyes coins and tokens were just another small metal product like those he had manufactured for years. He also had shares in several Cornish copper mines, and had a large personal stock of copper, purchased when the mines were unable to dispose of it elsewhere. However, when orders for counterfeit money were sent to him, he refused them: "I will do anything, short of being a common informer against particular persons, to stop the malpractices of the Birmingham coiners." In 1788 he established the Soho Mint as part of his industrial plant. The mint included eight steam-driven presses, each striking between 70 and 84 coins per minute. Boulton spent much time in London lobbying for a contract to strike British coins, but in June 1790 the William Pitt Government postponed a decision on recoinage indefinitely. Meanwhile, the Soho Mint struck coins for the East India Company, Sierra Leone and Russia, while producing high-quality planchets, or blank coins, to be struck by national mints elsewhere. The firm sent over 20 million blanks to Philadelphia, to be struck into cents and half-cents by the United States Mint. The national financial crisis reached a point of despair in February 1797, when the Bank of England stopped redeeming its bills for gold. In an effort to get more money into circulation, the Government adopted a plan to issue large quantities of copper coins, and Lord Hawkesbury summoned Boulton to London on 3 March 1797, informing him of the Government's plan, and he was awarded a contract at the end of the month. According to a proclamation dated 26 July 1797, King George III was "graciously pleased to give directions that measures might be taken for an immediate supply of such copper coinage as might be best adapted to the payment of the laborious poor in the present exigency". The proclamation required that the coins weigh one and two ounces respectively, bringing the intrinsic value of the coins close to their face value. With the return of large quantities of government issued small denomination coin (twopence and pennies were minted at the Soho Mint in 1797, and halfpennies and farthings followed in 1799), the need for locally issued token coinage waned. By 1802, the production of privately issued provincial tokens had ceased. However, in the next ten years the intrinsic value of copper rose. The return of privately minted token coinage was evident by 1811 and endemic by 1812, as more and more of the Government issued copper coinage was melted down for trade. The Royal Mint undertook a massive recoinage programme in 1816, with large quantities of gold and silver coin being minted. To thwart the further issuance of private token coinage, in 1817 an act of parliament was passed which forbade the manufacture of private token coinage under very severe penalties. Early on, the issue of private token coinage served a purpose to ease everyday transactions. But, by 1793, the hobby of collecting and trading various tokens achieved widespread popularity. Most tokens issued in the early years were primarily intended for circulation. However, manufacturers soon found that issuing token designs in very limited mintage meant they could be sold directly to collectors at tidy profits. A few enterprising collectors even funded the issue of very small mintage tokens of their own design. These self-made "rare" tokens would then be used to trade with other collectors in an attempt to fill their collections with as many varieties as possible. As evidence of the collecting craze, three extensive reference works on the indexing and collecting of provincial tokens were published before 1800 by Pye (first edition in 1795), Birchall (1796), and Conder (1798). None of these three published works were undertaken by accomplished numismatic researchers, but instead were undertaken out of personal interest and were largely based on the personal collections of the authors. Because of the widespread "collecting mania", a great number of extremely well preserved tokens survive today, having been tucked away in private collections for decades. Because Conder tokens were minted independently of government, the creators of these tokens had the freedom to make political statements and social commentary, to honour great men, ideals, great events, or to simply advertise their businesses. Subjects range from Isaac Newton to Abolition, Prisons and Mental Institutions to circus performers. Issuers of the coins needed only have the means and the will to mint their own coin. Many tokens were officially payable only in certain areas and locations, but there is no doubt that these copper promissory tokens were treated as official copper coin by many at the time and they circulated widely. By 1795, there were thousands of different designs circulating, the great majority of these tokens being halfpennies. A depiction of the approximate diameters of token farthings, halfpennies, and pennies issued from 1787 to 1802. The size of a standard wooden matchstick and a typical shirt button are shown for comparison. Conder tokens are named after James Conder who was an early collector and cataloguer of these tokens. Building on the work of Conder and a few other intermediary reference works, the definitive and exhaustive work on attributing Conder tokens used by modern collectors is that of Dalton and Hamer. Each token is identified based on one of four large geographic regions (England, Anglesey and Wales, Scotland, and Ireland), then further by county. Within the county of issue, each unique combination of obverse and reverse design is assigned a number (referred to as the D&H number), and variations in edge lettering are further differentiated by a lower case letter following the number designation. In general, the tokens are organized within each county such that pennies are listed first (lowest D&H numbers), then halfpennies, and finally farthings (highest D&H numbers). It is also quite common for collectors to refer to a token by the specific city, business, or series of the issue within the larger county category. A few tokens were issued in denominations other than the penny, halfpenny, and farthing, and these less common denominations are also indexed in Dalton and Hamer. The vast majority of tokens indexed in D&H from the period were struck in copper, even those in odd denominations of threepence, one shilling, and others. When originally published, Dalton and Hamer assigned rarity information to each token based on the number minted with each die pairing, and with each edge type. Over time some of these estimates have been found to be overestimates of mintages, whereas others have underestimated mintages. Tokens are classified into large groups called "Common", "Scarce", "Rare", "Very Rare", and "Extremely Rare". While some tokens are classified as rare based only on their varied edge lettering, the more sought after tokens are those with very small mintages of a particular obverse and/or reverse design. ^ Waters 1906, pp. 29-30. ^ a b c d Conder 1798. ^ a b c d e f g Dalton, Hamer & 1910–17. ^ Selgin 2011, p. 4. ^ Selgin 2011, pp. 4-8. ^ Selgin 2011, p. 8. ^ Selgin 2011, pp. 11-37. ^ a b c McKivor 2013. ^ Selgin 2011, pp. 38-40. ^ a b c d e Rodgers 2009. ^ a b Lobel 1999, p. 575. ^ Tungate 2009, p. 80. ^ Selgin 2011, pp. 40-43. ^ Selgin 2011, p. 43-49. ^ Selgin 2011, pp. 121-153. ^ Smiles 1865, p. 399. ^ Smiles 1865, p. 179. ^ Symons 2009, p. 93. ^ a b Symons 2009, p. 94. ^ a b Kings proclamation 1797. ^ Pye 1801, p. 4. ^ a b c Hocking 1906, p. 327. ^ a b c Ultimate Guide 2010, p. 6. ^ a b Pye 1801. ^ Hamer 1903, pp. 299-301. ^ a b Hamer 1905, p. 369. ^ a b Ultimate Guide 2010. ^ Withers & Withers 2010. ^ Ultimate Guide 2010, p. 3. ^ Ultimate Guide 2010, pp. 19-22. ^ Ultimate Guide 2010, pp. 10-11. ^ Ultimate Guide 2010, pp. 5. Birchall, Samuel (1796). A Descriptive List of the Provincial Copper Coins or Tokens issued between the years 1786 and 1796 arranged alphabetically by Samuel Birchall of Leeds from originals in his own possession. Leeds, England: Thomas Gill. Conder, James (1798). An arrangement of Provincial Coins, tokens, and medalets issued in Great Britain, Ireland, and the colonies, within the last twenty years, from the farthing to the penny size (First ed.). Ipswich, England: G. Jermyn. Dalton, Richard; Hamer, Samuel H. (1910–17). The Provincial Token-Coinage of the 18th Century. Dykes, David (2011). Coinage and Currency in Eighteenth-Century Britain. The Provincial Coinage. London: Spink. ISBN 978-1-907427-16-9. Hamer, Samuel (April 1903). "Notes on the private tokens, their issuers and die-sinkers (part 1)" (PDF). 1. British Numismatic Journal: 299–332. Hamer, Samuel (1905). "Notes on the private tokens, their issuers and die-sinkers (part 2)" (PDF). 2. British Numismatic Journal: 369–396. Hamer, Samuel (1906). "Notes on the private tokens, their issuers and die-sinkers (part 3)" (PDF). 3. British Numismatic Journal: 271–279. Hocking, William John (1906). Catalogue of the Coins, Tokens, Medals, Dies, and Seals in the Museum of the Royal Mint. London: Darling & Son, LTD. pp. 327–343. Mayhew, Nicholas (1999). Sterling: The Rise and Fall of a Currency. The Penguin Group. pp. 104–05. ISBN 978-0-7139-9258-8. Pye, Charles (1801). A Correct and Complete Representation of all the Provincial Copper Coins, Tokens of Trade, and Cards of Address, on Copper, Which were circulated as such between the Years 1787 and 1801, when they were entirely superseded; a new copper coinage being at that time in circulation, issued by authority of government (Second ed.). Birmingham: Matthew Young. Rodgers, Kerry (May 2009). "Boulton father of mechanized press". World Coin News: 1, 56–58. Selgin, George (2011). Good Money: Birmingham Button Makers, the Royal Mint, and the Beginnings of Modern Coinage, 1775-1821. Oakland, CA: Independent Institute. ISBN 978-1598130430. Tungate, Sue (2009). "Matthew Boulton's Mints: Copper to Customer". In Mason, Shena (ed.). Matthew Boulton: Selling What All the World Desires. New Haven, Ct.: Yale University Press. pp. 80–88. ISBN 978-0-300-14358-4. Waters, Arthur (1906). Notes Gleaned from Contemporary Literature, &c: Respecting the Issuers of the Eighteenth Century Tokens: Struck for the County of Middlesex: Arranged According to Atkins's Tradesmen's Tokens. Leamington Spa: Simons and Waters. Withers, Paul; Withers, Bente R. (2010). The Token Book: 17th 18th & 19th Century Tokens and their Values. Llanfyllin, UK: Galata Print Ltd. pp. 219–388. ISBN 978-0-9543162-8-0. "By the King: A proclamation". The London Gazette. 29 July 1797. Retrieved 16 June 2009. The Ultimate Guide to Conder Tokens: The Provincial Token-Coinage of the 18th Century Digital Quick Reference (First ed.). Rockaway, NJ: NumisSource, LLC; Digital Numismatic Publishing. 2010. ISBN 978-0-9841402-0-6. McKivor, Bill. "A History of 18th Century Provincial Tokens (Conder tokens)". The Copper Corner. Retrieved 19 June 2013. Amelia Lewsham or Amelia Harlequin or Amelia Newsham (c.1748 – after 1797) was a Jamaican known as the "White Negress". A complementary currency is a currency or medium of exchange that is not a national currency, but that is thought of as supplementing or complementing national currencies. :3:2 Complementary currencies are usually not legal tender and their use is based on agreement between the parties exchanging the currency. According to Jérôme Blanc of Laboratoire d'Économie de la Firme et des Institutions, complementary currencies aim to protect, stimulate or orientate the economy. :7 They may also be used to advance particular social, environmental, or political goals. :4When speaking about complementary currencies, a number of overlapping and often interchangeable terms are in use: local or community currencies are complementary currencies used within a locality or other form of community (such as business-based or online communities); regional currencies are similar to local currencies but used within a larger geographical region; and sectoral currencies are complementary currencies used within a single economic sector, such as education or health care. Many private currencies are complementary currencies issued by private businesses or organizations. Other terms include alternative currency, auxiliary currency, and microcurrency. Mutual credit is a form of alternative currency, and thus any form of lending that does not go through the banking system can be considered a form of alternative currency. Barters are another type of alternative currency. These are actually exchange systems, which trade only items, without the use of any currency whatsoever. Finally, LETS is a special form of barter that trades points for items. One point stands for one worker-hour of work. Currency, in the form of coins, has been issued in Cornwall periodically since at least the 10th century AD, while banknotes were issued into the 19th century. 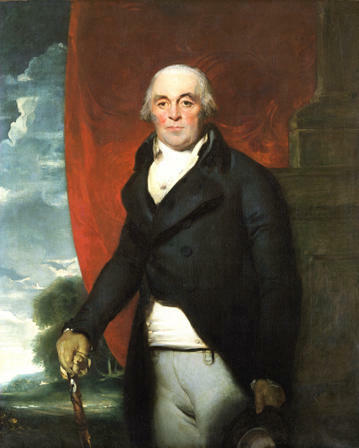 James Conder (1761–1823) was an English businessman and numismatist. He is known for giving his name to Conder Tokens and because of the coincidence of an ancient hoard of coins being found ten feet under his doorstep when his house was demolished. This is a list of magazines and academic journals that focus on numismatics. In economics, a local currency is a currency that can be spent in a particular geographical locality at participating organisations. A regional currency is a form of local currency encompassing a larger geographical area. A local currency acts as a complementary currency to a national currency, rather than replacing it, and aims to encourage spending within a local community, especially with locally owned businesses. The currency may not be backed by a national government or be legal tender in the UK. About 300 complementary currencies, including local currencies, are listed in the Complementary Currency Resource Center worldwide database. For the Scottish engraver see Robert Charles Bell (engraver). Robert Charles Bell (1917–2002) was the author of several books on board games, most importantly Board and Table Games 1 & 2 (reprinted as Board and Table Games from Many Civilizations). This work won the Premier Award of the Doctors' Hobbies Exhibition, London. He was instrumental in popularizing traditional games, and is acknowledged as one of 11 "principal sources" in David Parlett's The Oxford History of Board Games. Thomas Seckford (1515 – January 1587) was an official at the court of Queen Elizabeth I and Member of Parliament. He is not to be confused with his younger brother, Thomas Seckford of Ludlow, also a Member of Parliament.